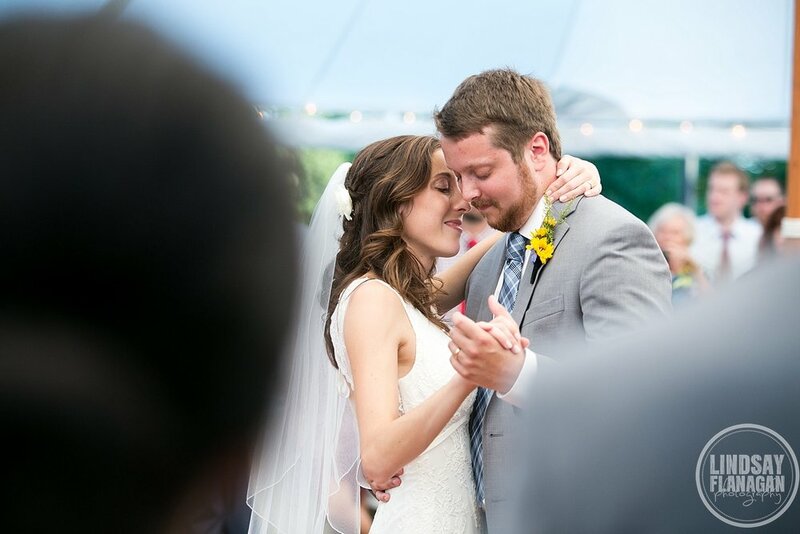 Sam and Raven met over 6 years ago after studying abroad in Budapest. 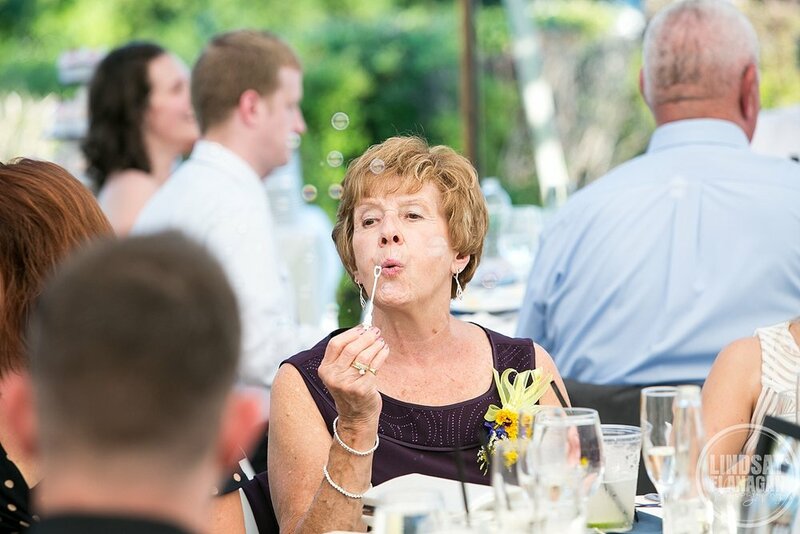 They were married this summer at The Wolfeboro Inn in Wolfeboro, New Hampshire. I met up with them as they were getting ready. Raven was relaxing with her bridesmaids. Once her mother joined them, she put her dress on privately and reentered the room to the girls' tearful eyes. 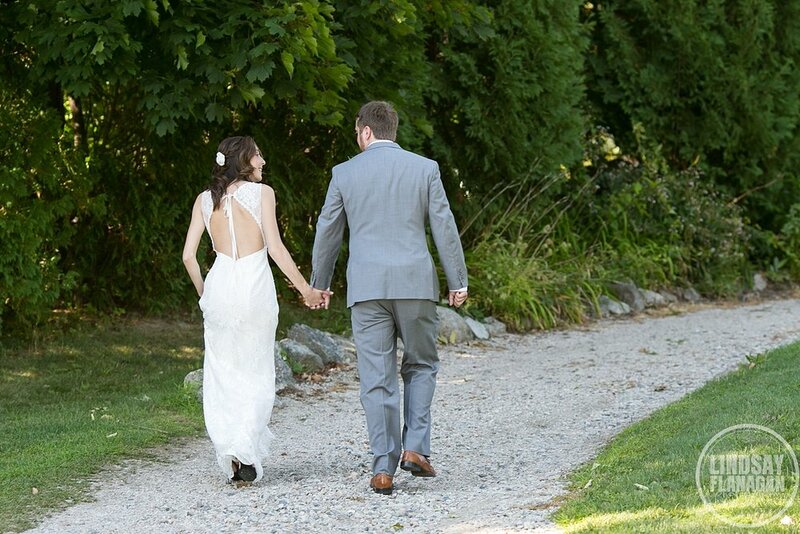 After Sam and Raven were dressed and ready, we met out on the front lawn for their first look. The best part was after they said their hellos, they read letters they wrote to each other. It was a very sweet moment! 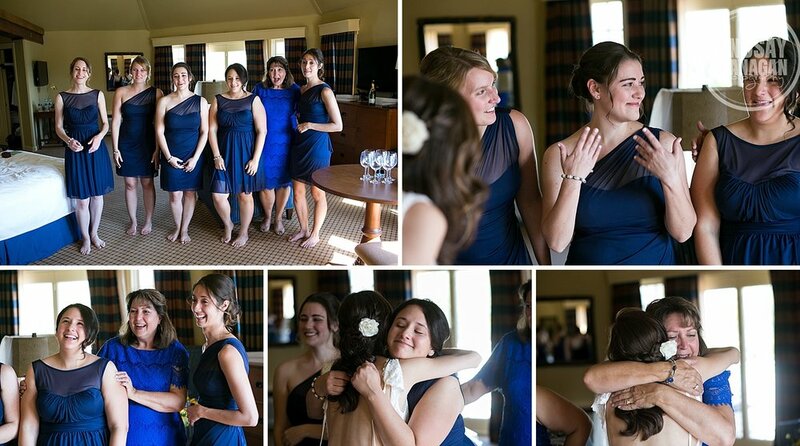 We were able to fit in a few portraits of the beautiful couple before their ceremony. One of the many reasons that having a first look is a great idea! 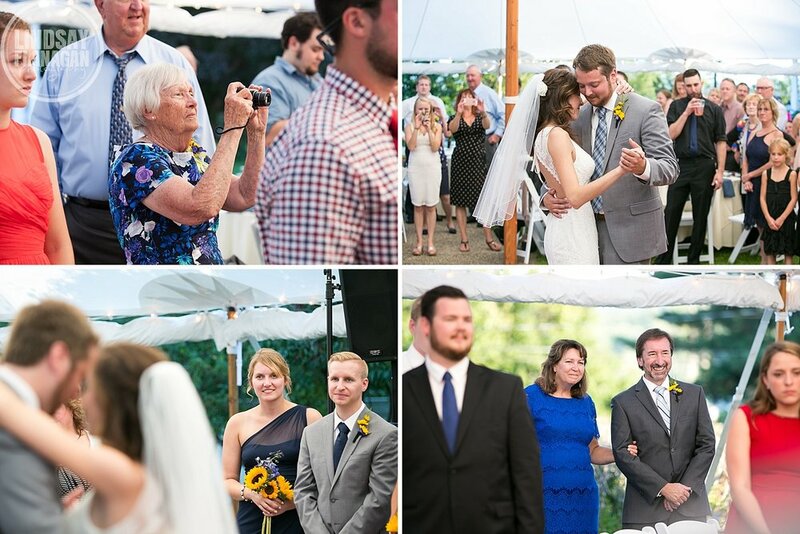 Even though Sam had seen Raven earlier, both he and Raven got choked up as Raven walked down the aisle. 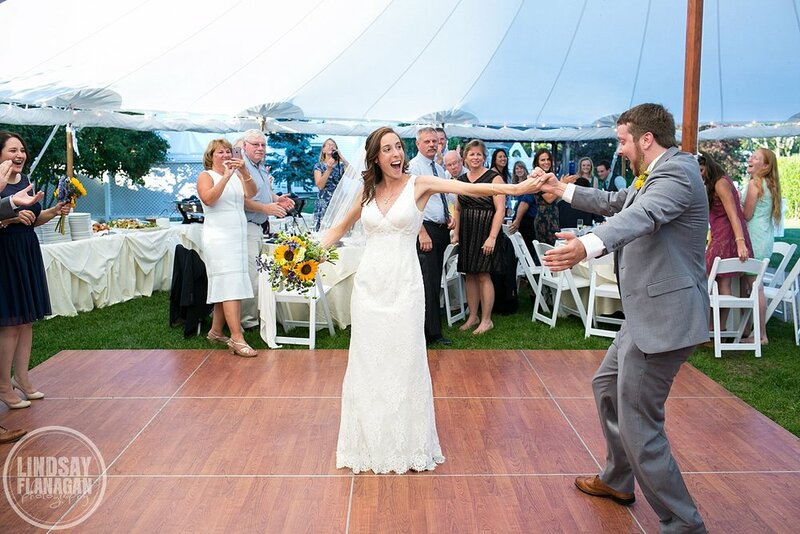 The reception started in the tent at The Wolfeboro Inn. Since Sam and Raven have traveled all over the world together, they used maps as part of their theme. The cake had a gold colored map on the top and guests signed in on a globe selected by the bride and groom. When I photographed their engagement session, there were many smiles and lots of joking, so I knew their wedding day was going to be full of the same. 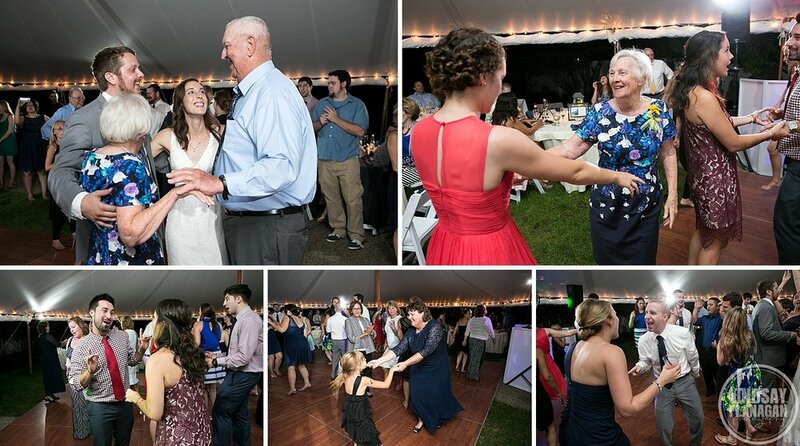 As night fell at The Wolfeboro Inn, the cake was cute, parents danced with, and Sam, Raven and their guests had a blast together on the dance floor.